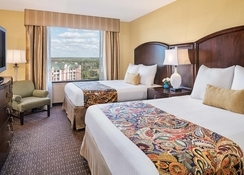 Located close to Walt Disney World and with a transfer service that takes guests to the Disney ticket and transportation centre, the Caribe Royale Orlando features a host of amenities that will make your stay an enjoyable one. The rooms are modern and there is also the option to stay in a two bedroom villa as well. 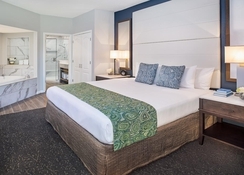 The resort is close to major attractions in Orlando such as SeaWorld, Universal Studios as well as all the Disney attractions like Disney’s Hollywood Studios and Disney’s Animal Kingdom. There are great shopping opportunities and several golf courses close to the resort and the Caribe Royale Orlando is a great place to stay for couples and families with children. 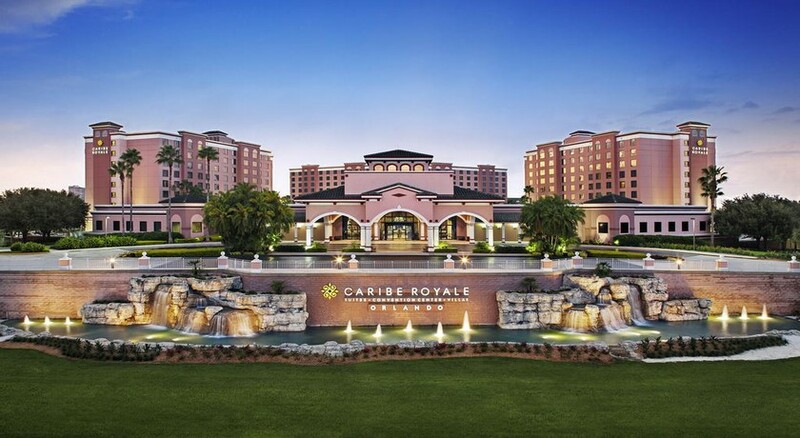 Caribe Royale Orlando is only 2.3 miles from Walt Disney World. Disney’s Animal Kingdom (5.9 miles), Disney’s Hollywood Studios (4 miles), Epcot (3.6 miles) are all near to the hotel. Guests can also travel to Universal Studios (8.1 miles), SeaWorld (3.7 miles) and there are a range of golf courses near to the property as well. The Orlando International Airport is 12.3 miles away. 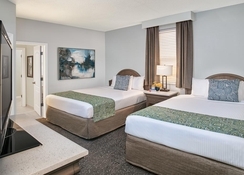 There are four fantastic accommodation options at the Caribe Royale Orlando that can sleep between four and eight people. One Bedroom Queen Suites have one sofa bed and two large double beds, One Bedroom King Suites have one extra-large double bed and one sofa bed, Deluxe One Bedroom King Suite has one extra-large double bed while the Two Bedroom Villas can sleep six adults and two children. 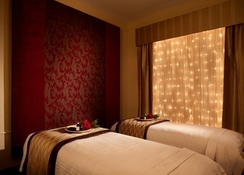 All the rooms come with a flat screen TV, Wi-Fi and the villas have spa baths and fully equipped kitchens. Gastronomy wise, there are two restaurants on-site. The Tropicale and the Venetian Chop House. You will also find two lounges at the Caribe Royale Orlando and there is a pool bar and grill to indulge in during the day. Within a few miles of the resort you’ll also find a Walmart and various bars and restaurants. 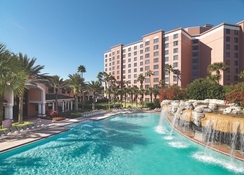 Caribe Royale Orlando has a range of recreation options. There is a private pool for guests who are staying in the villa, another outdoor pool, hot tub, access to a fitness centre and the hotel pus on a range of activities for adults and children. Golfers can play on Hawks Landing Golf Course (800 yards) or Falcon’s Fire Golf Course (1.2 miles) while the Lake Buena Vista Factory Stores is only 600 yards away. Yoga at The Studio. 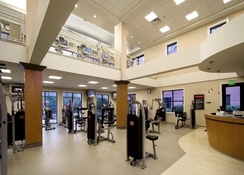 See the Fitness Center for more information.